AccuWeather's team members are the heart of our success. As we enter new markets & expand geographically, the Director, Integrated Marketing position will have a real impact on our success & mission to save lives, protect property, & help people prosper. The Director, Integrated Marketing reports directly to the VP, Integrated Marketing & is responsible for working with our SVP, Ad Sales to execute revenue generating marketing solutions for clients. This position will play an active role in supporting the creation, management & oversight of marketing partnerships from ideation through final delivery. S/he will be working cross-functionally to evangelize the AccuWeather story & be a crucial extension of the AccuWeather Ad Sales Team. This position also will be hands on in streamlining processes & operations for AccuWeather Ad Sales Division. Under the direction of VP, Integrated Marketing, S/he will support management with day to day operations associated with integrated marketing including but not limited to owning & refining processes, becoming a industry lead for one or two key industries supported by ad sales, & identifying new opportunities to create cohesive integrated marketing programs & content. Managing three marketing managers & 1 marketing coordinator in all aspects of day-to-day including ensuring the highest quality work is being delivered to the market. 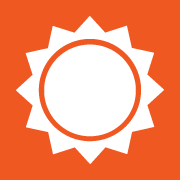 Develop sales & marketing collateral that highlight AccuWeathers unique value proposition & ensure AccuWeather is viewed as a must-buy. Liaise with all appropriate internal groups (sales, research, editorial, branded content, etc.) to facilitate efficient & transparent communication. Strong proficiency in MS Excel, PPT, & any other design tools.